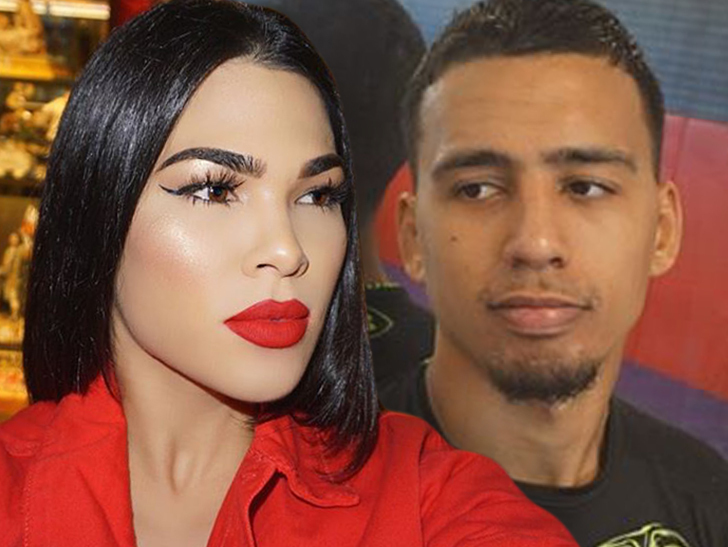 UFC's Rachael Ostovich's Husband Has Been Arrested For Attempted Murder After Beating Rachael Badly - T.V.S.T. All you UFC lovers out there might have already heard the news, Rachael Ostovich had to pull out of her scheduled January fight against Paige VanZant after being assaulted by her husband. Her husband, MMA fighter Arnold Berdon, was arrested Tuesday evening on suspicion of 2nd degree attempted murder. Berdon reportedly beat Ostovich pretty severely. She was sent to the hospital with serious injuries, including a broken orbital bone, which according to Google, has something to do with your eye socket. Looks like Berdon’s fighting days are over. He’ll be going to prison for a loooong time. Maybe if we’re lucky some big dude in prison will break his orbital bone. An eye for an eye, you know? Hopefully Ostovich has a speedy recovery! It’s a shame she had to pull out of the upcoming match, but we’re sure she’ll be back soon. I would not want to be the first person to face her in the Octagon when she does return. You know she’ll be looking to take out some frustration. Natalie Dormer And Her Fiance Break Up After 11 Years Of Dating...What Went Wrong?